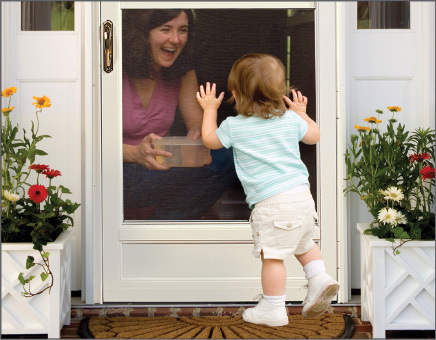 A storm door is an outer door used to protect against outside weather and also to minimize heating and cooling energy loss from inside the home. The storm door is installed on the exterior side of the home’s entry door. 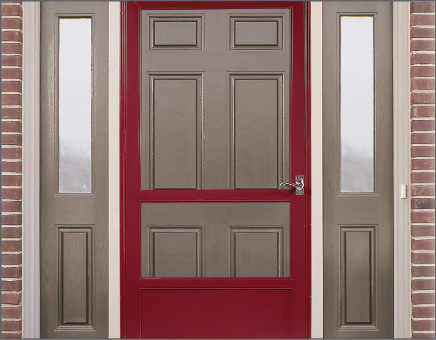 It provides an extra layer of insulation between the entry door and the outdoors. 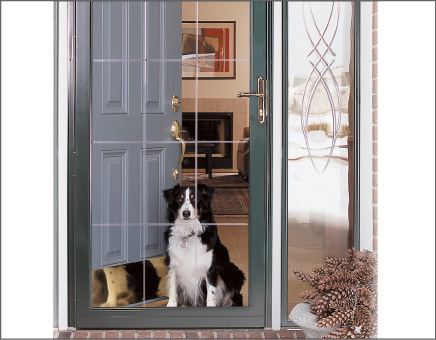 Storm doors are available with either fixed or self-storing glass panels. 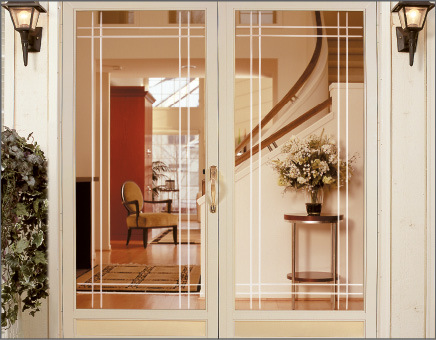 The fixed glass type has a removable panel of glass that can be replaced with a screen. The self-storing type has a glass panel that slides up or down to regulate airflow into the home.